Welcome to the new Holiday Inn Battle Creek.Located off Interstate 94,exit 98A nestled in the Harper Village Shopping Center, adjacent to Lakeview Square Mall, minutes from downtown & Fort Custer Industrial Park.Guest rooms featuring 32&reg flat panel, LCD, HD TV&regs, pay-per view movies, pillow top mattresses, wifi, high speed Internet & personal voice mail.. Comfortable surroundings & the cosmopolitan feel of our lobby & public areas. 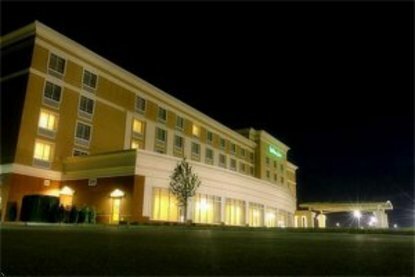 Meet family, friends, & coworkers among the decor of our marble floors, leather couches, sophisticated furnishings & contemporary fireplace.The Holiday Inn Battle Creek will help maintain your exercise regimen in our fitness center. Enjoy our indoor pool, outdoor pool patio & arcade. Catch up on work in our business center.Cereal City Grill Restaurant & Lounge is open daily for breakfast, lunch & dinner. American Cuisine with appetizers, sandwiches, salads, pasta, & steak and chicken entrees. Lounge with nightly specials, large flat panel television, flat screen TV&regs in our restaurant booths, outdoor veranda.Our banquet facilities makes us a great place for events from 5 to 300 people. Our Harvest Ballroom & Cereal City Grill Executive Board Room makes up over 5,000 square feet of versatile space making us the favorite for banquets, meetings, weddings, conferences, reunions and all events. The Holiday Inn Battle Creek, everything you expect, and much more. This hotel is committed to providing accessible facilities under the American Disabilities Act. If your accessibility needs are not met, please contact the Hotel Manager on Duty. Should you require additional information regarding accessible facilities for guests with disabilities, please call 1-800-Holiday (U.S. and Canada) or contact the hotel directly. For the hearing impaired, TDD service is available at 1-800-238-5544 within the U.S. and Canada.